When the Wildlife and Countryside Act was introduced in 1981 in order for the UK to comply with the European Union’s Birds Directive, nationally and internationally important nature sites, known as Sites of Special Scientific Interest (SSSIs), had no legal protection. Farmers could and did plough up SSSI downland and meadow, wetlands were drained and the Forestry Commission continued to plant conifers on ancient woodland SSSIs and peat bogs. During the 1980s a series of high profile cause celebre were fought – Halvergate Marshes, the Somerset Levels and perhaps most famous of all, the Flow Country. The latter campaign stopped the desecration, but led to the Nature Conservancy Council being abolished, for standing up for nature. By the time of the Twyford Down case in 1992, when the M3 was extended through two SSSIs, with much protest, the number of sites being damaged by development had slowed to a trickle. The last major loss of SSSI to development was Cardiff Bay in 1994, when 167ha of mudflat was destroyed to make way for a marina. Losses to agriculture continued though, and after the ploughing of Offham Down SSSI in 1997, the last Labour Government introduced stronger protection for our best nature sites, through the CROW Act in 2000 and then further protection through the NERC Act in 2006. Why then, in 2015, are we having to campaign to save not one but two nationally, and arguably internationally, important SSSIs, at Lodge Hill in Kent and Rampisham Down in Dorset? The National Planning Policy Framework (NPPF), introduced with some controversy in 2012, does not help. It states that SSSIs should be protected, but also that the economic benefits of development affecting them must be balanced against the harm, in a simplistic cost benefit analysis. It was this approach, which led in 1986 to the North Devon Link road passing directly through Hare’s Down, Knowstone and Rackenford Moor SSSI, rather than skirting around it (onto more financially valuable farmland,) on its way from Tiverton to Barnstaple. Subsequently the remainder of the site, split in two by the road, was designated as a Special Area of Conservation under the Habitats Directive. This cost benefit analysis, supported by the ethically dubious biodiversity offsetting approach promoted by this Government, means the NPPF needs to be amended to give a much stronger steer to Council planning committee members as to what the balance between nature protection and economic development should be. Both Rampisham Down and Lodge Hill were notified as SSSIs after the idea of developing the sites had been thought up. At Lodge Hill, the MoD who own the site, have been unenthusiastic about protecting the nature there and Natural England have fought against them to protect the site. Not surprisingly Medway Council, who want the Lodge Hill new town, see Natural England’s late entry into the fray as deeply unwelcome and have argued that localism in their case means just that and national concerns, such as for nature, should not over-ride their local concerns. In some ways it is a valid question. The particular plant communities and species found at Rampisham have almost disappeared from lowland England. There are estimated to be between 3000 and 5000ha left. Natural England’s own rules governing which sites should be protected as SSSIs state that ALL examples of habitats with less than 10,000ha left (in this case in lowland England) should be protected, if they are over 0.5ha in area. Rampisham Down is 72ha. It’s been known about for a long time. Why was it not designated before? According to Natural England’s own data, less than half of all this type of lowland acid grassland is protected in SSSIs – the other half is at the mercy of agricultural intensification, neglect and development. The same applies at Lodge Hill. The Ministry of Defence knew it had an important wildlife site but kept quiet about it. It was mostly luck that the nearly 30ha of unimproved neutral grassland at Lodge Hill was even included in the SSSI. This type of neutral grassland used to cover lowland England and Wales – now it is almost gone, with less than 6000ha left in Britain. Only just over half of this tiny resource is found in SSSIs – and the remainder continue to be lost as this report showed. According to the Government there are 1.9 million Ha of priority habitat in England and only 40% is protected. Trying to save an important nature site from development after planning permission has been granted is a huge waste of resources, both for the hard-pressed conservation charity sector, Natural England, the planning authority, the developers and central government. It could easily be avoided if Natural England actually delivered its statutory duty to notify all sites that meet the selection criteria for SSSI designation. Then everyone would know where these places were and not bother to try and develop them. Why are Natural England not notifying every site they are duty bound to protect? Of course there are influential bodies, such as the National Farmers Union and the Country Landowners and Business Organisation who do not want Natural England to notify any more SSSIs because of the loss of property rights they regard as a consequence of such actions. And they have lobbied for Natural England to have a new duty to have regard to economic growth when undertaking their work, in the expectation that this will be considered when new SSSIs are notified. But property rights are not inalienable and do change over time, according to the needs of society. If Society cares about saving the little nature that is left, it needs to start applying pressure to Natural England to launch a major exercise where all the surviving sites which meet the SSSI criteria are protected. This entry was posted in Lodge Hill, Natural England, Rampisham Down, SSSis and tagged Lodge Hill, Natural England, Rampisham Down, SSSIs. Bookmark the permalink. Far be it for me to offer excuses for Natural England but they are I suspect fighting for their pensions rather than the natural world. Each morph they’ve experienced has, as you note, generally been consequential of some cause celebre. They ‘evolved’ from NCC to English Nature, then became Natural England …. what next, the subject of another political ‘cull’? Sadly, here in Yorkshire whilst there are some good staff left they are thin on the ground and politically aspiring managers with corporate agendas control / manage case work (examples available). If they were abolished then at least conservationists would be able to see the real issues and not have to wrestle with the developers ‘Chinese wall’ which purports to be guardian of the natural environment? SSSIs are surely due for review because there are so many failing as well as the need to maintain a notification programme. What are the larger NGOs doing to challenge the inertia? Held to ransom / gagged by grant providing arm of the organisation perhaps? Would a review be toxic at the moment, for the ‘greenest Government ever’ or for NE, I doubt it and it could see more development land made available particularly in the south east and the north could then host more heavily subsidised alternative energy projects? NE failure, or secret deal compromise sees cases submitted to Europe (Walshaw for example), so what next for ‘Nero’? Will another ‘cull’ be resisted if the ‘greenest Government ever’ continue the corporate carnage in the name of state assisted conservation? A very thought-provoking post, Miles. 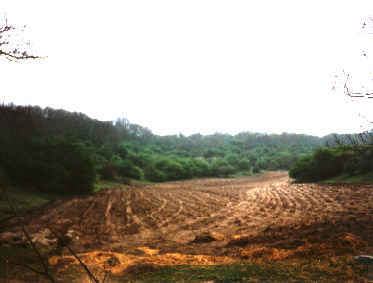 In over 30 years or more of observing the continual, dynamic clash between conservation on the one hand and the forces of destruction (so-called development) on the other, it seems clear that conservation is forever on the defensive, fighting rearguard actions over small precious remnant pieces of land, and with varying degrees of success. Meanwhile a continual attrition process is going on all around us over the countryside as a whole which is being degraded by the panoply of industrial society. There’s also a huge amount of reaching out to ordinary folk needed, because conservation is too easily portrayed by developers as being anti-people or nimby. I’m often struck when out on public events by a sort of polarisation where you have the great experts on one side and everybody else cast in the role of ignorant sheep and passive recipients rather than active agents capable of knowing, learning and creating. All too ambitious? Maybe, but if conservationists won’t work more effectively, we can be d’d sure that conservation will continue losing out to the better-organised opposition. We certainly can’t just sit back and wait for Natural England or whatever other top-down quango to do whatever it is “minded to” deem fit! Yes yes and yes but it’s also true that we in the voluntary sector, or Civil Society if you like, cannot possibly do it on our own. Regulation is a fundamental need for conservation, to address “market failure” as the economists would say. Market Failure implies that by tweaking the rules of the market, it is possible to make it successful for the environment. I have my doubts. Alternatively you could see it as the failure of a market-based approach to even recognise that everything is underpinned by the environment, or nature (in its widest sense.) So, either way, we need regulation and we need regulators – like Natural England. And we need to do all we can to make sure that what Natural England does, is “minded to do” or “deems fit” is the best for nature. In this case, as an emergency measure, to use its powers to designate all the remaining surviving fragments of land still rich in nature, and make sure that when they are designated (like Lodge Hill and Rampisham) they are properly protected. Nene Valley the middle of England. We are in a bit of a vicious circle in that yes, we do need government regulators and regulation, but in our current political set-up government needs to know that there sufficient public support to make more regulation feasible electorally. People like the idea of wildlife, but are easily led astray and bamboozled as to what is really of importance and what is merely tinsel. Maybe what we need is a kind of ‘barefoot ecology’ and land-use science to bring conservationists and the public better in touch and make it intelligible and relevant to people. We have just such a fight on our hands now on the Lizard Peninsula in Cornwall. The area from Coverack to Porthoustock is an SSSI and has been since the 90’s, but is in danger of literally being blown up under plans to reopen Dean Quarry on a huge scale. Also at risk is the Marine Conservation Zone, which currently offers clear diving waters, and in which you can spot dolphins, basking sharks etc as plans are underway to build a 600m breakwater and 2 huge jetties straight through it, industrialising the whole area. The reason – cheap stone for the Tidal Lagoon Swansea Bay project as stone from the existing super quarries as deemed to be more expensive. While I am totally in agreement that renewable energy needs to be developed, it should not be done on the cheap at the expense of our SSSI’s and MCZ’s. To my mind, designating threatened sites is fine to a degree, but only if the resource is available to ensure they can be managed effectively, and all too often, for one reason or another – fragmentation, multiple ownership, outside pressures, they can’t. In reality, what we need is another paradigm shift in conservation, whereby within specified areas whole landscapes are managed for conservation, clean water and public benefit, and that can only come by removing all support for agricultural production in specified areas and replacing it with subsidy that is contingent on environmental delivery alone. And this subsidy needs to reflect services provided not just income forgone. We might call the resulting system high nature value farming (in Environmentally Sensitive Landscapes!) and it can only come with fundamental reform of CAP.